Could the quiet town of Woodlands be Singapore’s most undervalued estate? With the launch of 12,000 flats in November 2015 followed by another 4,000 flats in February 2016, HDB has set the hearts and desires of couples intending to own their first homes or those seeking to upgrade, running into frenzy. For example – Bidadari, the long awaited site is among the list of flats to be launched and perhaps not surprisingly, had been heavily oversubscribed in the past two Build-To-Order (BTO) launch. This had us wondering what the general prices of HDBs in other estates were and which estates offer value in the long run for its residents. The result from the heatmap shows flats in Chinatown and Bugis to be the most expensive, with prices of $790 – $825 psf respectively. 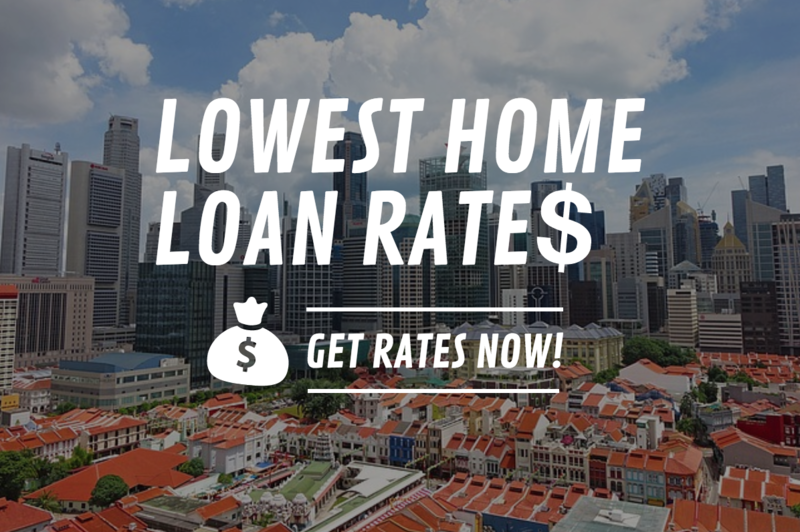 The flats in Jurong West, Choa Chu Kang and Woodlands are among the lowest with prices not exceeding $400 psf. Among these regions, which would represent a better proposition? The writer puts the case for Woodlands. Read on to find out why. Currently, Woodlands is connected only via the North-South Line. However, starting from 2019, that will change with the start of the Thomson – East Coast Line (TEL) as the sixth Mass Rapid Transit line. This new TEL is expected to be fully completed by 2024 and will give residents in Woodlands better connectivity to the South of the Thomson area, to the central of the CBD/ Marina Bay, all the way to the East of Sungei Bedok. This translates to shorter travelling time with savings of up to 20 mins to Parkway Parade from Woodlands, 15 mins of time savings from Marina Bay and the nearby CBD offices to Woodlands, compared to the existing route. That is not all. Once Singapore’s eleventh expressway, the North-South Corridor (NSC) is completed, it will save residents in the North heading to the city centre a travelling time of up to 30% during peak periods. The NSC will run parallel to the Central Expressway alleviating the existing traffic load. Works are expected to start from 2017 onwards. With the completion of both these projects, residents in Woodlands can expect greater connectivity to the other regions in Singapore, with shorter travelling time. Woodlands has always been synonymously linked to the Causeway. With such close proximity to our neighbour (Malaysia), going “overseas” is not a chore to most residents in Woodlands. And why not travel frequently to JB? – with the current exchange rate, you will be crazy not to make the most of it. Given the hundreds of thousands of people crossing the Straits of Johor daily, there are plans to add more travelling options. First announced by both countries in 2010, the cross-border MRT line, Johor Bahru Rapid Transit System is expected to ease traffic congestion across the borders giving commuters quicker and better travelling experience. Though the expected date of completion has not been announced, the Singapore side of the station will be connected to the TEL. But more current, and in effect today, is the shuttle train service between Woodlands and JB Sentral (Shuttle Tebrau). With 14 trips daily and each trip carrying about 300 to 320 passengers, this is an alternative travelling option for commuters. Ease of travel between the two countries can only improve in the future given the strong ties and economic interests we share. Readers might be familiar with some of the projects in Iskandar / Johor Bahru. This includes a plethora of housing projects (enticing Singaporean investors to have a second home), amusement parks, medical facilities and even universities. It is common to hear stories about how difficult it is for parents to find a childcare centre that is near their home. Thankfully, Woodlands will be offering a few new childcare centres to choose from. It was announced last year that a site at Woodlands St 13 has been chosen for a PAP Community Foundation, a 2-storey centre with rooftop play area and generous outdoor spaces. It is expected to open its doors sometime in the second half of 2016 to some 300 children, aged between 18 months and 7 years old. Apart from this large childcare centre, another will be made available at the all-in-one Kampung Admiralty. This project will also house eldercare facilities, providing social and recreational activities to promote active aging with day care and healthcare services for the seniors in the community. For working parents who prefer the convenience and ease of mind of a childcare centre within the same building as their office, Woods Square will be offering just that. This new commercial development located in the heart of Woodlands Central marks the first project in URA’s Master Plan 2014 to transform Woodlands into a Regional Centre. Woodlands also offers a number of good primary and secondary schools. For couples with tertiary going children, there is a junior college and a polytechnic conveniently located within Woodlands. That is not all; parents with sports inclined children may consider enrolling them in the Singapore Sports School which is also located in Woodlands. Woodlands is the third Regional Centre, after Tampines Regional Centre and Jurong Lake District. Envisioned as Singapore’s Northern Gateway, Woodlands Regional Centre will incorporate office, residential, retail and lifestyle elements into two districts – Woodlands Central and Woodlands North Coast, boosting the economic and social value of Woodlands as a vibrant work- live-play precinct. Woodlands Regional Centre is expected to bring 100,000 new jobs closer to home in the next 10 to 15 years. The latest commercial property to be developed in Woodlands is Woods Square, with its Small Office Loft Office (SOLO) units specially designed for entrepreneurs or start-ups. Due to the high floor to ceiling height, an additional platform can be incorporated within the unit, providing flexible space for the owner to creatively design their own office. As the first commercial property with offices available for sale in Woodlands, coupled with the attractiveness of affordable rental rates compared to the CBD, there are benefits for businesses to locate to Woodlands. In addition, two new industrial clusters will spring up in the Woodlands region, Gambas Avenue and along Woodlands Avenue 9 & 12. Two industrial properties that are coming up in that area are Far East Organization’s Nordcom I and II. The project comes with uncommon features such as a swimming pool, an indoor gym and a sky terrace. There are also plans to develop two specialised wafer fabrication plants in Woodlands and the North Coast. With the development of some 700,000 m2 commercial space and 100ha of developable land, the full potential of Woodlands will be realised in the years to come. Lastly, a mature town is well loved not just for its connectivity to jobs and good schools but also for its access to amenities. Being the only Regional Centre with a coastal waterfront setting, there are many projects in the pipeline that will increase the attractiveness of Woodlands to its residents. Moreover, with a shopping mall near every mrt station in the North (mainly, Woodlands, Sembawang, Yishun) residents will not be disappointed with their shopping options. Nature loving individual would be delighted with the amenities and views of the Straits of Johor from the 11ha Woodlands Waterfront Park which includes a large playground with jogging and cycling paths. It is a great venue to spend time with your loved ones by the jetty on a breezy afternoon. And who knows, you might even see a family of monkeys jumping from tree to tree. The Woodlands Waterfront Park is connected to the existing 25ha Admiralty Park which is undergoing renovation works. When completed in late 2016, it will be home to a three slide-themed play areas catering to different age groups. The park is also home to more than 100 species of flora and fauna and over 40 different species of birds. What better way to rest and enjoy a weekend after a long work/study week! Among the most affordable regions in Jurong West, Choa Chu Kang and Woodlands, it is the HDB homes in Woodlands that offer the most potential for quicker and bigger capital appreciation, especially with major development plans drawn up for the precinct as the third regional centre. Savvy home-buyers should consider pouncing on opportunities when presented. Moreover, the upcoming Woodlands Regional Centre offers what’s known in real estate as first mover advantage for discerning investors as well. Historically, the first to invest in the Tampines and Jurong Regional Centres have seen their property value soar as the business hubs take off. So, those who seize the opportunity now will benefit from the future growth of Woodlands, in time.